Uber continued to shrink its losses in the first quarter of 2018, according to financial documents the company shared with Axios. It also is launching a stock tender offer for early employees and investors, at an implied valuation of $62 billion. Top line: $2.5 billion in net revenue in Q1 18, up 67% from a year ago and a 7% increase over Q4 2017. Gross bookings, which includes ride charges earned by drivers, climbed to $11.28 billion. Bottom line: Adjusted pro forma EBITDA loss of $304 million, down 49% from a year ago and 36% from Q4 2017. 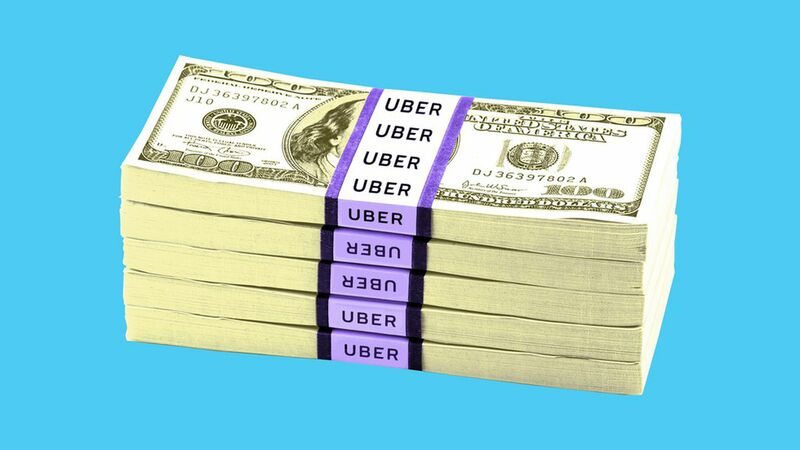 On a GAAP basis, Uber actually generated $2.5 billion in profit during the quarter, thanks to one-time gains from its sales of local operations in Southeast Asia (to Grab) and Russia (to Yandex). Balance sheet: Uber reports $4.7 billion of cash and $3.1 billion of long-term debt, as of March 31. Overall assets are listed at $19.4 billion, while overall liabilities are at $11.67 billion. Accounting changes: Starting this quarter, Uber reclassified a portion of its ride-hailing revenue. Now, when it overestimates a fare (drivers are paid based on final distance and time, while fares are quoted upfront to riders), the difference will be categorized as contra-revenue rather than as gross bookings, similar to when Uber underestimates a ride and has to over-compensate the driver. It's also reclassifying promotions for specific customer groups in a market as operating expenses, rather than contra-revenue. The tender is for between $400 million and $600 million at $40 per share, compared to $32.96 per share in last year's tender to SoftBank. Buyers include new investor Coatue Management, which also holds stakes in Lyft, Grab and Didi Chuxing. Existing investors Altimeter and TPG are also participating. To be eligible, employees must hold at least 1,000 shares (down from 10k minimum in SoftBank tender). They then can tender up to 25% of their total shares or $10 million, whichever is less. Employees will get a preference over outside investors if the tender is oversubscribed.